MAHLE ANAND Thermal Systems provides a wide range of climate control and engine cooling products to the automotive industry. We are a supplier-of-choice to several OEMs by the virtue of being able to deliver solutions ranging from individual components to entire systems. We have made a name for ourselves by designing several futuristic solutions to enable customers address stringent emission and noise pollution norms on the one hand and enhance fuel-efficiency on the other. MAHLE ANAND Thermal Systems was the first company to develop a battery cooling box in India, presently being supplied to E-Verity and E-Tigor. 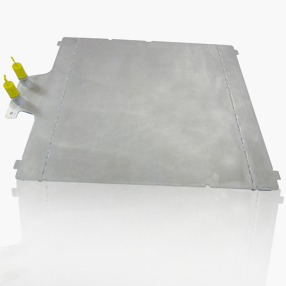 MAHLE ANAND Thermal Systems was the first company to introduce the Cooling Plate Technology in India. MAHLE ANAND Thermal Systems offers design and validation for complete refrigerant circuits and solutions for optimal air distribution in the vehicle cabin. MAHLE ANAND Thermal Systems designs entire HVAC systems or delivers finely-tuned HVAC modules based on customer specifications. Our HVAC system is generally robust & compact in size and provides excellent cooling performance with low noise & low power consumption. MAHLE ANAND Thermal Systems was the first company to introduce the chiller technology in India. The compact engine cooling systems from MAHLE ANAND Thermal Systems are marked by superior performance and durability. 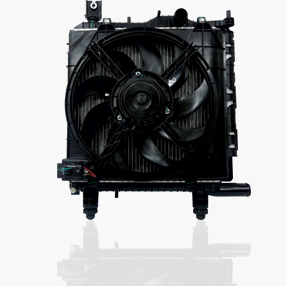 Our intercoolers are constructed with high performing turbulator-provided inner tubes, marked by high durability and plastic inlet/outlet tanks that withstand high pressure. The result: compactness and lower weight. Our KOMO-type condensers are designed in a manner that makes it possible to directly snap-mount them to radiators without brackets and plastic frames, making it possible to withstand high refrigerant internal pressure. 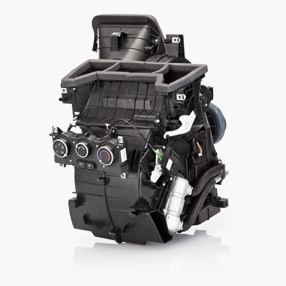 The engine cooling module includes a radiator, intercooler, condenser and FMS. In 2010, we commissioned a high-tech laser welding set-up for the manufacture of Euro IV and onwards-compliant EGR coolers. 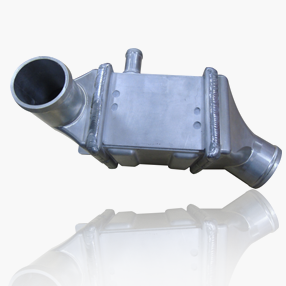 This technology is used for emission compliance benchmarked to Euro IV standards, particularly NOx emission, incorporating the patented winglet tube design and cutting-edge laser welding process. Our EGR configurations suit various applications in the passenger car and commercial vehicle segments. MAHLE ANAND Thermal Systems offers design and validation for complete refrigerant circuits and solutions that facilitate optimal air distribution in the vehicle cabin. MAHLE ANAND Thermal Systems designs entire HVAC systems; it delivers finely-tuned HVAC modules based on customer specifications. Our HVAC system is robust and compact, providing excellent cooling, low noise and modest power consumption. 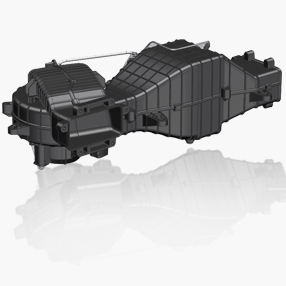 We designed and manufactured mechanical visco clutches to address growing needs in the SUV, LCV and M/HCV segments.  Our competence is reflected in that we supply to most OEMs in India. 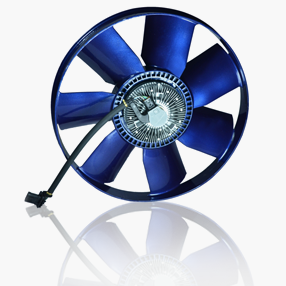 We possess a range of fans available locally; we import components based on downstream application requirements. 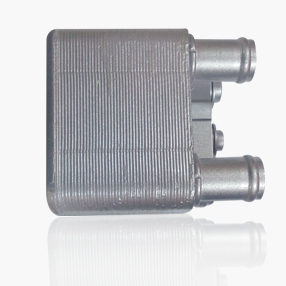 To address noise, emission and fuel economy standards, we introduced electronic visco clutches directly controlled by engine ECU through PWM signals. The benefits of E-Visco: lower parasitic losses, improved fuel economy and moderated noise.